Snoring. It’s a fact of life—though your sleeping partner probably wishes it wasn’t. You toss and you turn and no matter how early you go to bed, your nightly snorting and wheezing leaves you waking up exhausted every morning. Is there any way to beat the beast that lives in your nose? It turns out, there are a few great ways to take back your nightly sleep. Getting a Tempur-Pedic mattress is a great place to start—the right mattress can do wonders for realigning a body that’s out of whack and getting your breathing back on track! 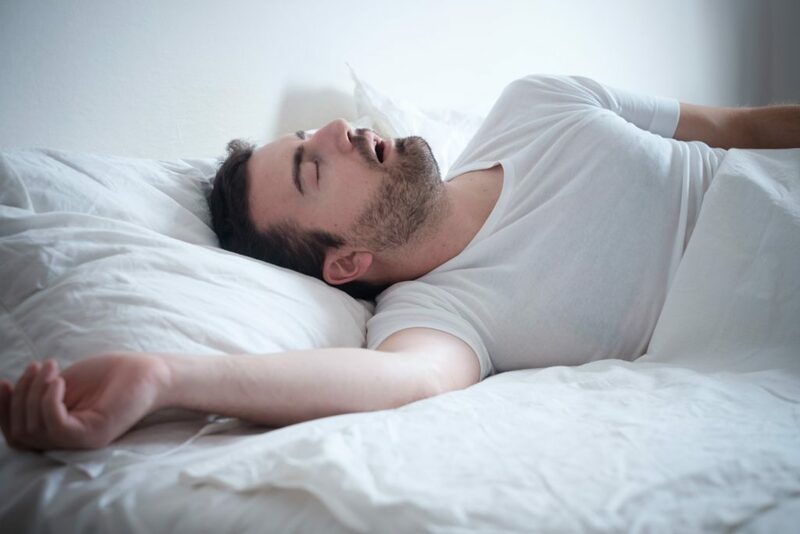 But if you’re already trying (and failing) to get a better night’s sleep on a Tempur-Pedic, you might want to try these tips to help you stop snoring and breathe easy. Try switching up your sleeping position. Often, snoring is caused by your tongue falling back into the throat and partially obstructing your airway in the night. By rolling onto your side, you can easily kick this particular cause to the curb. Tempur-Pedic mattresses are great for side sleeping because they conform to your body and alleviate pressure on the hips and shoulders. If you’re having trouble staying on your side through the night, try taping a tennis ball to your back before bed, or even better, invest in a power motion bed base that lets you sit upright while you rest. There’s nothing quite like a glass of wine or a beer at the end of a long day. But if you’re struggling with snoring issues, you might want to put down that bottle. Alcohol and other sedatives can relax the throat muscles, causing your throat to swell and making your snoring worse. Simple allergens can do a lot of damage to your sinuses and have been found to be a major cause of snoring. Change out your sheets, dust your shelves, and sweep out all that junk under the bed and see how much better you sleep. You’d be surprised by how often a serious case of snoring is solved by cleaning out the cat dander trapped in your room! Moist air can bring down the swelling in your nasal tissues and make breathing less difficult. 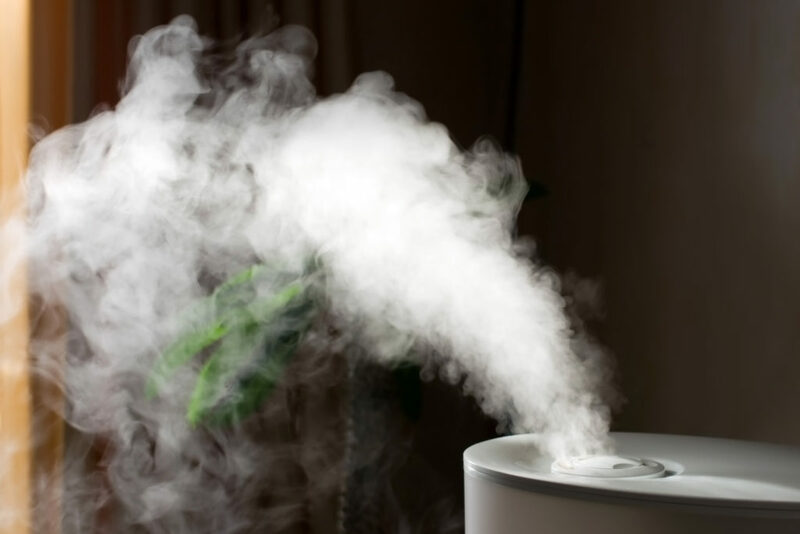 Dry air tends to irritate the sinuses and nasal passages, so keeping your humidifier running through the night can be a big help. Be sure to change out your water often, to avoid any issues with allergens. There are plenty of devices on the market that claim to improve or eliminate snoring. If you aren’t seeing any improvements from these changes in your nightly routine, these methods are worth a try. Anti-snoring breathing strips and nose vents are popular and cheap, and you can also find pillows that help stop snoring in its tracks. It might sound weird, but working out your throat and tongue can actually help you stop snoring. Building up those muscles makes it less likely that your tongue will slide backward in the night. Press your tongue against the roof of your mouth and slide it backward twenty times. Repeat each vowel out loud for three minutes straight. Say “aah” like you’re at the doctor’s office about twenty times. There are plenty of these to try, so keep searching until you find one that works for you. If your snoring is still keeping you up after trying all these tips, you should talk to a doctor and make sure your nightly inconvenience isn’t a sign of something more serious. Otherwise, with these tricks up your sleeve, you should be back to getting a peaceful night’s rest on your Tempur-Pedic mattress in no time! If you have any questions regarding how a Tempur-Pedic mattress can improve your sleep, stop by our store today! Our sales associates are always eager to help. Happy sleeping!